MIDLAND, Mich. - The Great Lakes Loons and Saginaw Valley State University are pleased to present the "Community Organization of the Night" promotion for the 2015 season at Dow Diamond. Sponsored by SVSU, the "Community Organization of the Night" will give non-profit groups the opportunity to win up to $1,500, while also spotlighting their organization at a Loons home game and through various media. Non-profit organizations wishing to participate can do so by purchasing a minimum of 20 tickets to their scheduled game. Each organization will get a skirted table set up on the concourse to display information about their group, radio mention on ESPN 100.9-FM, and a Dow Diamond public address and video board announcement. Helping to drive traffic to the group's table will be an entry form box in which fans can enter a drawing to win an iPad Mini, courtesy of SVSU. The organization which sells the most tickets to a Loons game during the season will receive $1,000. Organizations that purchase the minimum of 20 tickets are also automatically entered into an end-of-season raffle to win an additional $500. For more information or to book a "Community Organization of the Night" date, contact Amber Ferris at aferris@loons.com, or 989-837-6140, or James Cahilellis at jcahillellis@loons.com, or 989-837-6173. 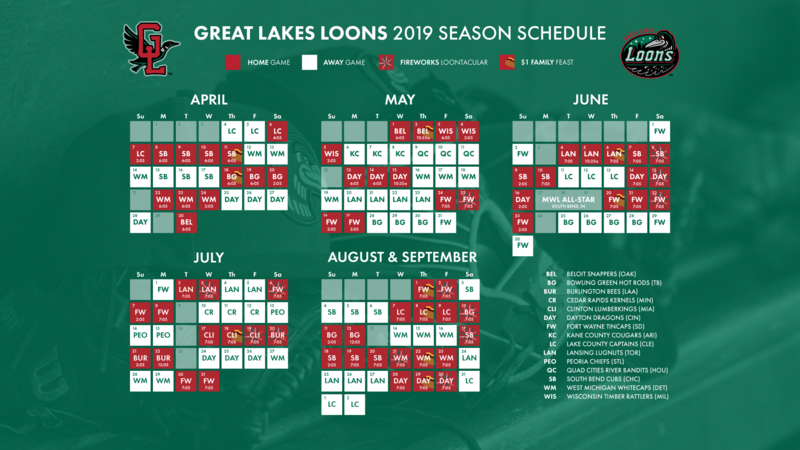 The Great Lakes Loons are a ninth-year Single-A partner of the Los Angeles Dodgers. The Loons ticket staff is currently taking orders for individual game tickets, ticket packages and group outings for the 2015 season. For more information, visit Loons.com or call 989-837-BALL.